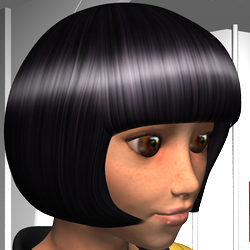 Sumire Hair is a bob-cut hairdo with long bangs. It was created by Yamato for Aiko 3. This page was last edited on 18 November 2018, at 12:32.